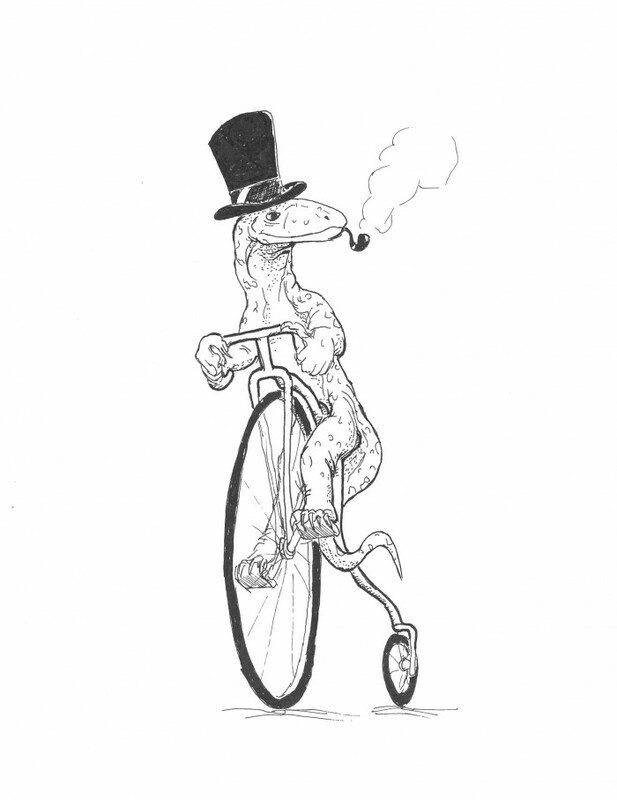 It is a little known fact that Goanna’s look very dapper on Penny-Farthings while wearing a hat and smoking a pipe. This entry was posted in Scanned Desksketch and tagged goanna by Anthony. Bookmark the permalink.